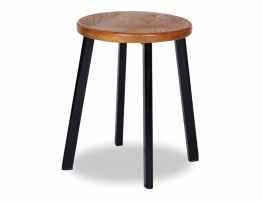 The El Ron Counter Stool 66cm - Black Frame w/ Timber Seat offers a counter stool that deftly balances an understated modern industrial look with a refined rusticism befitting your modern kitchen. 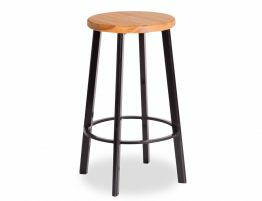 These modern designer barstools offers a warm, wood seat juxtaposed with a powder coated metal frame. 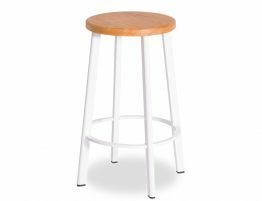 With backless barstools, it is easy to keep your space looking refined and clean as these minimalist counter El Ron barstools tuck neatly under your counters. 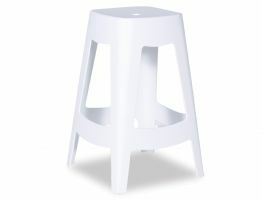 Reminiscent of a vintage lab or art studio, these backless barstools straddle the line between modern and vintage. 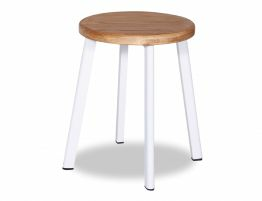 Spare design details make these wood and metal barstools true objects of interest and yet the minimalist counter stools never look fussy or over decorated. 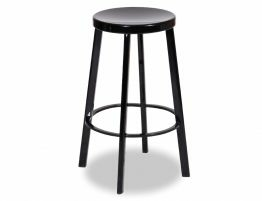 Keep your style and space simple and refined with the El Ron black counter stool. 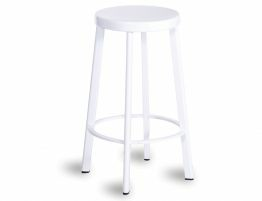 Add interest to your pace and update your counter seating without going over budget. Good taste need not cost a fortune with this affordable, attractive kitchen update.